Jurgen goes for the jugular: U.S. coach Jurgen Klinsmann will exhort his troops this afternoon against a tiny foe the U.S. can not afford to take lightly (AP Photo). With the World Cup qualifying standings a mess, the U.S. national team has found a way to simplify things: win and win. There are other ways the U.S. could reach the final round of qualifying for the 2014 World Cup in Brazil, but the Americans are fixating now on the route that sounds easiest but will be the most difficult. If the Americans win their next two games, starting with a road test against Antigua and Barbuda on Friday night, they will move on no matter what happens in the other remaining Group A matchups. Sputter in those games, though, and the Americans could be ousted long before anyone expected. It’s been a challenging few days already for the Americans, who summoned 24 players into camp for these matches — the game at Antigua is followed by a sold out one in Kansas City, Kan., on Tuesday night against Guatemala. By the time the plane left Miami for Antigua on Thursday morning, that group was pared to 20, after the Galaxy’s Landon Donovan (knee), Brek Shea (abdominal), Edgar Castillo (foot) and Fabian Johnson (flu) were ruled out by injury and illness. Johnson should be healthy enough to play Tuesday. Donovan, Shea and Castillo will not play in either match. Guatemalans would advance based on goal differential. teams would control its own fate heading into the final match. The U.S. beat Antigua 3-1 at Tampa, Fla. in its qualifying opener in June, a match that was hardly one-sided. It wasn’t put away until the latter portion of the second half, when Herculez Gomez scored to wrap it up for the Americans, who acknowledged they were tested. “You learn out of your mistakes,” Klinsmann said. And with Antigua having nothing to lose now, plus fueled by being at home, another challenge is expected this time. U.S. Soccer officials said it’s their understanding that the 10,000-seat venue in St. John’s, Antigua, is sold out. About 80,000 people live on the island. “We’ve got to come out with momentum,” Gomez said. It’s equally important to leave with momentum. The Americans tied Guatemala 1-1 on the road in June, so that would suggest the game in Kansas City on Tuesday will be far from easy. Klinsmann said he welcomes that part. DUBLIN (AP) — Ireland captain Robbie Keane has been ruled out of Friday’s World Cup qualifier against Germany because of an Achilles tendon injury. This is the latest blow to the Irish team that already has lost Sean St. Ledger, Richard Dunne, Glen Whelan, James McClean and Kevin Doyle over the last two weeks. Keane missed training Thursday. The Irish soccer federation said on its Twitter feed he could be ready for Tuesday’s Group C match at the Faeroe Islands. Ireland beat Kazakhstan 2-1 in its only group match so far. Germany leads the group after two straight wins. The Galaxy will play for their first-ever MLS Reserve League Division title on Friday morning when they host Vancouver Whitecaps FC. The Galaxy enter the game in second place in the reserve league’s West Division with a 5-3-1 record for 16 points, leaving them one point behind the division leading San Jose Earthquakes. San Jose has already finished their season, meaning that the Galaxy will win the division title with a win or a draw against the Whitecaps, thanks to their superior goal difference. Kick off is at 10 a.m. on U.S. Soccer Field #3. Gonzo Gordo: The unlikely MLS career of Alan Gordon has taken an unusual turn with the U.S. National Team (Associated Press File Photo). 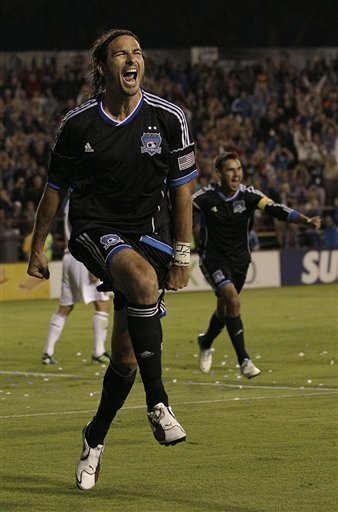 MIAMI (AP) — Long Beach native Alan Gordon celebrates his 31st birthday next Tuesday. Maybe U.S. Soccer will give him a cap. Gordon is the fifth-oldest player currently in camp with the U.S. national team, which is prepping for two matches that essentially decide if the Americans will continue having a chance to qualify for the 2014 World Cup. Of the 24 players picked by U.S. coach Jurgen Klinsmann for these enormous games, Gordon is younger than only defenders Steve Cherundolo and Carlos Bocanegra, along with goalkeepers Tim Howard and Nick Rimando. Combined, those four players have 279 appearances — caps, in soccer vernacular — for the U.S.Gordon has zero. But he’s having a breakout season with the San Jose Earthquakes: His 13 goals in 23 games translate to a 0.9-goal-per-90-minute ratio, the best in Major League Soccer. So Gordon got the call to be part of the U.S. side for these qualifiers, first on Friday on the road against Antigua and Barbuda, then in Kansas City on Oct. 16 against Guatemala, the match that coincides with his birthday. Klinsmann said Gordon earned his chance. tie — would seem to be the most probable requirement. summer (the U.S. pulled off a 1-0 victory, though Gordon did not play), and Klinsmann apparently kept watching him in the weeks that followed. When the Americans opened training in Miami on Tuesday, Gordon seemed to fit right in, even though he’s the only player on the roster without a cap and is nearly nine years older than the team’s youngest member. It’s not just luck, either. Or the fact that he’s putting the ball in the net for the ‘Quakes. There simply was a point when Gordon got tired of being hurt. So he changed his ways, working harder and trying to take advantage of whatever time is left in his career. qualifiers earlier this week because of injuries, meaning what was a 24-man roster is down to 22. So there might be need for a goal-scorer who’s playing well right now, like Gordon. Yup, guess there was more to that LD knee injury. Galaxy midfielder Landon Donovan will return to Los Angeles tonight after being ruled out of the upcoming FIFA World Cup qualifiers with a knee injury. Donovan traveled to Miami to join up with the U.S. National Team on Monday and was evaluated by U.S. Soccer medical staff Tuesday morning. 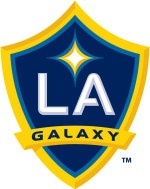 Donovan suffered the injury late in the Galaxy’s 2-1 loss to Real Salt Lake on Saturday night at The Home Depot Center. He will be further evaluated by club doctors after returning to Los Angeles . MIAMI (AP) — Landon Donovan missed a workout Tuesday to have an MRI on his left knee while the U.S. national team began getting ready for two World Cup qualifying matches. There was no immediate word on the test result, though U.S. coach Jurgen Klinsmann did not sound worried. Donovan was hurt Saturday while playing for the Galaxy, but saw some improvement before boarding a flight mONDAY to join the American team in Miami. U.S. Soccer officials expected to receive word about Donovan’s status later Tuesday. About 10 of the 24 players on the roster missed the morning practice for a variety of reasons — from jet lag to treatment of minor injuries. Klinsmann expects the full roster to be available for a gym session later in the day, and the assumption is that they would all be ready for training Wednesday as well. 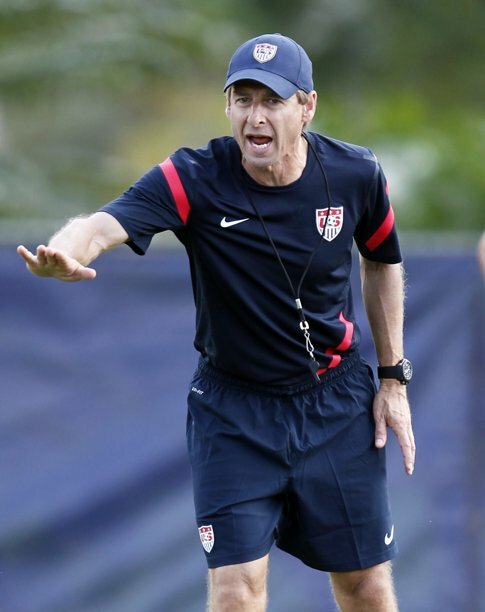 Klinsmann announced the roster Monday for the two matches that could be critical to the Americans’ bid to play in the 2014 tournament in Brazil. 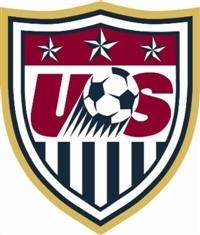 The U.S. plays at Antigua and Barbuda on Friday and is home against Guatemala next Tuesday. regional finals, four points — a win and a tie — would seem the most probable requirement. Donovan is the national team’s career leader in several categories, including goals (49), assists (48) and matches started (130). U.S. goalkeeper Tim Howard said he dined with Donovan after arriving in Miami and suggested he wasn’t concerned about whether the team’s best scorer would be available Friday. Weekly Column: Does Chivas USA Have a Future in Major League Soccer? 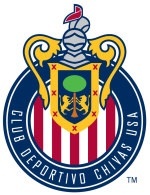 In 2012 Chivas USA appears to have come full circle, meaning they are no further ahead today in securing a decent fan base and a club identity than they were in 2005, the year they began play in MLS. Not surprisingly then, the discussion has shifted from how can the experiment work, to what form should Chivas USA — or a second LA-based MLS team — take in the future. Significantly, the debate is taking place without the participation so far of the MLS suits or the team’s AWOL ownership. So I spent my Sunday afternoon with loyal Chivas USA fan group Black Army 1850, which prefers to wear black instead of red and emphasize their LA roots rather than any affiliation with Chivas Guadalajara or the team’s Mexican heritage. The long-suffering Chivas USA fan base deserve way more than they get from this club. Yet I found fans who have not given up on the club despite the constant missteps of a front office that rarely communicates with their paying customers. Moreover, the group I talked to were united about what was needed, which is why the column quotes just one member of the Black Army. Other members of the group listened to the interview as it was conducted and pretty much agreed with what was said. Read the column here and leave your thoughts in the comment section below. 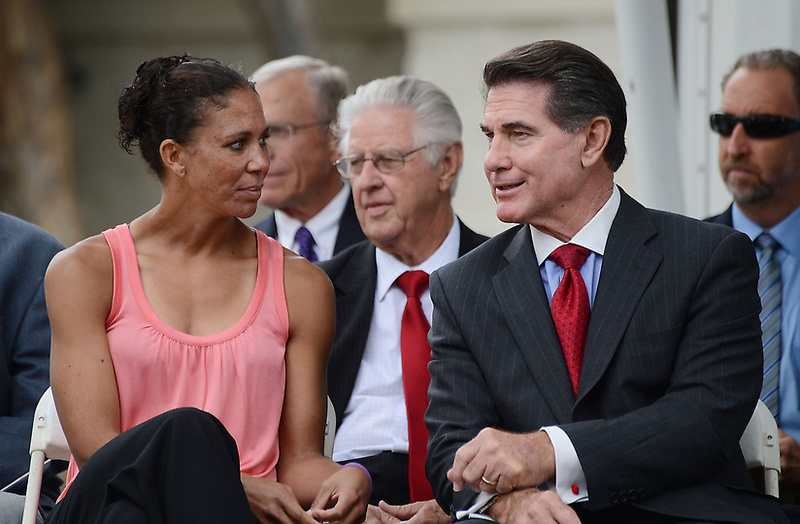 Torrance’s Shannon Boxx was inducted into the San Pedro Sportswalk Hall of Fame Monday along with seven other new members including baseball great Steve Garvey. Also inducted are: USC and UCI baseball coach Mike Gillespie, Pat Tillman Award winner Joe Bleymaier, football player Jerry Rodich, golfer Gerald Zar, coach Jim O’Brien and the San Pedro Boys and Girls Club. (Photo by Staff Photographer Steve McCrank). Is Shannon the first soccer player on the boardwalk? A complete photo gallery is here. In fact, neither the Galaxy nor the U.S. Soccer press releases announcing the 24-player roster even mentioned the knock that forced the influential U.S. playmaker out of this weekend’s Galaxy game in Carson. The Galaxy did not immediately respond to an email seeking clarification. Notable: Former Chivas USA midfielder Sacha Kljestan is recalled to the U.S. squad for the first time since the Italy game in February, while former Galaxy and Chivas USA foprward Alan Gordon will seek his first U.S. cap after notching a career-best 13 goals and eight assists in 23 games for the San Jose Earthquakes this season. Donovan is the fifth Galaxy player to leave the club on international duty during the current international window with Robbie Keane (Ireland), Dan Keat (New Zealand) and Christian Wilhelmsson (Sweden) all representing their home countries in World Cup Qualifiers while Jose Villarreal is with the U.S. Under-20 National Team at the Marbella Cup in Spain. *Chivas USA defender Ante Jazic has been called into the Canadian National Team squad for its World Cup Qualifiers against Cuba and Honduras, while midfielder Oswaldo Minda has been included in the Ecuadoran National Team squad for its games against Chile and Venezuela. *The Galaxy slipped to fourth in the Western Conference after Seattle won Sunday night over Pacific Northwest rivals Portland in front of the second-largest crowd ever to see an MLS regular season game. *Chivas USA drew Sunday with FC Dallas. I’ll have more on Chivas USA in Tuesday’s column. A tie and a home loss in the last two games is not the kind of playoff form the Galaxy need on the home stretch. 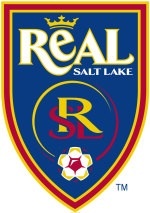 But really couldn’t you see it coming with two rookies on the back line against RSL’s explosive, experienced attack? Blowing a lead, losing a chance to go second in the conference and likely finding themselves fourth later Sunday if Seattle win as expected over Portland is the definiton of choking. The exact thing the Galaxy didn’t want looms: a playoff against the fifth-place team to qualify for the two-leg semifinals. Galaxy coach Bruce Arena was in no mood after the game to reflect on what it means for the club in the standings, deflecting questions that were asked on the subject. One thing is clear: seasons can turn on games like this. Scott French has the game story. Next: at San Jose Oct. 21 in the penultimate game of the regular season. With U.S. coach Jurgen Klinsmann scheduled to announce Monday his U.S. squad for the two upcoming World Cup qualifiers, the last thing he needed to hear about was a possible knee injury to key midfielder Landon Donovan. But that’s exactly what happened Saturday in the Galaxy’s disappointing 2-1 loss to Real Salt Lake in Carson (more on that later), with Donovan forced to come out of the game 10 minutes from time after landing on Real Salt Lake defender Jmison Olave as he attempted to go past him down the left flank. Donovan said he would be examined as soon as possible. When asked if the injury would take him out of the U.S. squad for the games against Antigua & Barbuda Oct. 12 and Guatemala four days later he said that was “TBD” (to be determined). Donovan has had more than his share of injuries since Klinsmann took over as U.S. coach, missing several crucial games. A Galaxy team missing defensive mainstay A.J. DeLaGarza plays what amounts to a playoff game against a Real Salt Lake team just two points ahead of them in the Western Conference that ran rampant the last time they visited Home Depot Center. Michael C. Lewis has the game preview from sister paper The Salt Lake Tribune. Join me tonight on Twitter@LAsoccerblog.